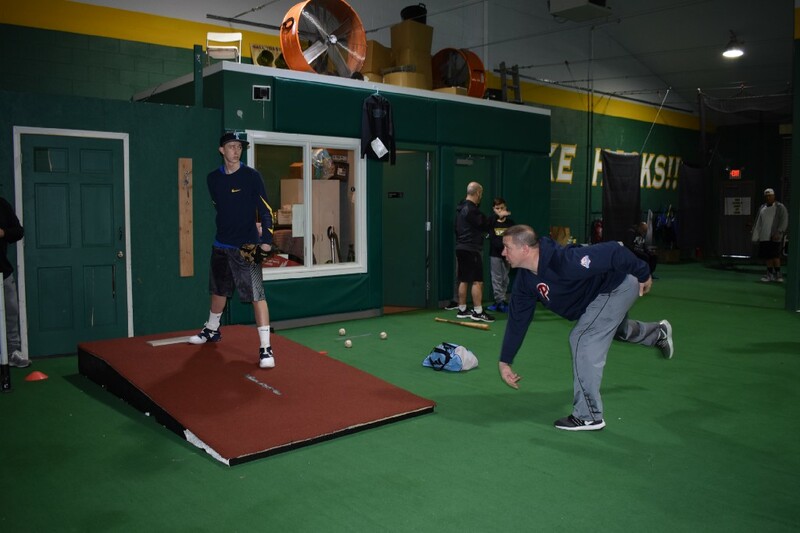 Relief pitcher Ricky Bottalico hosted a pitching clinic through South Philly Sports Training. Young athletes were recently equipped with MLB pointers in Point Breeze. 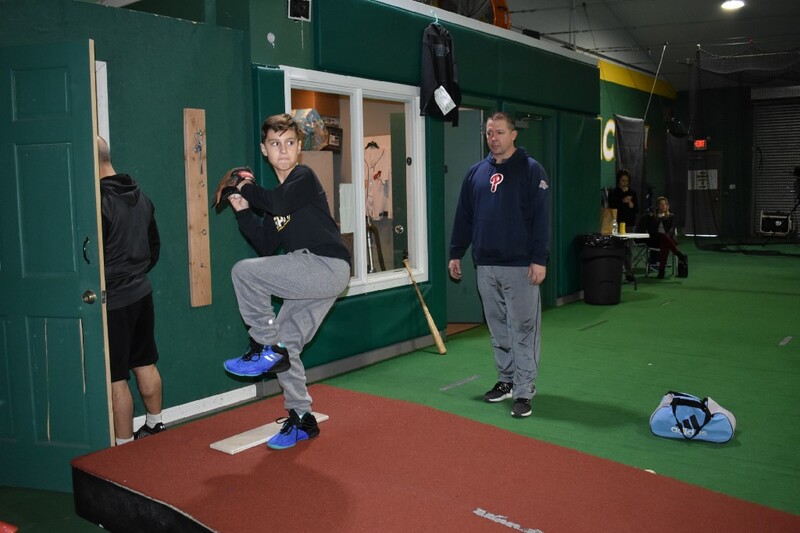 On Dec. 29, South Philly Sports Training, a regional operation providing predominantly baseball and softball training to local rising players, hosted a pitching clinic featuring former Phillies relief pitcher Ricky Bottalico. Bottalico, who played in the major leagues from 1994 to 2005 and is now an analyst on NBC Sports Philadelphia, brought the top tips he’s collected on the professional mound to the South Philly batting cages, where a handful of young pitchers from around the region received one-on-one training with the veteran Phillie. As Bottalico continues his retirement from pro ball, he says, nowadays, it’s all about the kids. Bottalico’s benevolence aligns with the mission of the recently established South Philly Sports Training, which opened its doors at 25th and Reed streets in December 2015. Recognizing an inflating need for authentic baseball training in South Philadelphia, local baseball past master Dominic Nardini, who’s gathered a scope of training experience, including coaching the the 2005 11U Little League district champion from Delaware Valley Youth Athletic, assembled a team of local seasoned athletes to offer private training sessions. Shifting the focus from business to instruction, the group of eight regionally successful baseball players, including minor league players Albert Baur and Jimmy Kerrigan, aim to instill not only athleticism but character building in the participating mentees who range from 7 to 22 years old. Nardini says a linchpin of South Philly Sports Training, which partners with Delaware Valley Youth Athletic and Taney Youth Baseball Association, is the natural mentorship that unfolds as older athletes train around the younger ones. The staff believes novice athletes simply watching and listening to experienced players makes lasting effects both on physical and mental levels. And Bottalico, who recently connected with the South Philly Sports Training, fits this bill, Nardini says. While keeping the chin, hips and rest of the body facing the catcher, Bottalico advised the athletes to pretend to be grabbing something while throwing the ball to reach the maximum extension. Bottalico says his students were responsive to the lessons. The most challenging part was having the kids provide feedback on what they’re feeling. But, he’s noticed that this comfortability takes trust over time. However, for him, the most rewarding part was the art of simply giving back, noting that, when he was a young athlete, he did not have opportunities to train with former MLB players. For those who may have missed out on the Dec. 29 training, future lessons with Bottalico can be scheduled through South Philly Sports Training. Contact (215) 767–8103 or SPsportstraining@gmail.com for more information. Follow Grace on Twitter at @gracemaiorano.